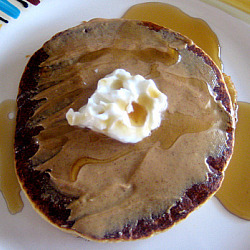 I love love love pancakes (no surprise if you look at my blog ha) and am always looking for new recipes to try! These two look great, I’ll have to give them a go sometime! Pancakes are the ultimate breakfast/brunch food-my roommates and I make them almost every weekend! It’s amazing how filling the whole grain version is-I love adding blueberries and banana slices!